There is something so magical about sunset on the ocean in the Summer. When we walked down to the beach to catch the sunset during our yurt camping adventure I had to stop and pinhole the filtered golden light through the trees. I was very honored to be interviewed on the Copytrack blog yesterday! I may have overly geeked out about pinhole photography, which I am always happy to do when given the chance. You can find the interview here. It is officially the dead of winter and I am dreaming of Summer. I am currently going through some pinhole photos I took last summer at the beach and they are making me happy, so I thought I’d share them here with you as my next series for Photography Friday. 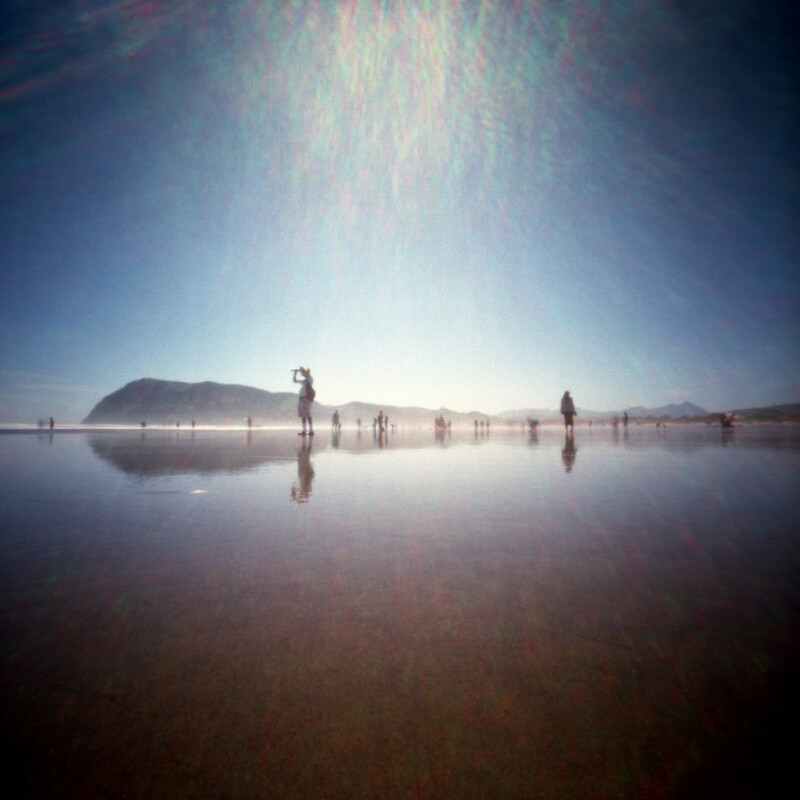 This was taken at Cape Lookout on the Oregon Coast with my Reality So Subtle 6×6 and Ektar 100. I don’t know what the exposure time was because my phone had died and I didn’t have a way to meter the shot, so I used The Force. The last of my beach shots from earlier this summer. I just finished a roll of film in my Zero today and I ordered some more c-41 developer. I’m looking forward to more pinhole from this past summer! My latest post on Pinhole Obscura! Enjoy! For the past three years I’ve spent Christmas in Newport, Oregon. I am going to also spend this Christmas there, as well, and I will probably be visiting a place called Devil’s Punchbowl. What I have here is a collection of pinhole shots from Devil’s Punchbowl, taken with my Zero 2000 and my Terrapin Bijou, and at different times of the year. Some of them were taken last Christmas, and some of them were taken this past summer. Last summer I had the rare opportunity to actually walk into the punch bowl and pinhole the inside of it. You can see from the pictures it is usually churning with water!